Fitness is a conscious effort. You set a target, and work hard towards getting that aim. For me, I've taken this to heart, embarking on a fitness plan which hopefully will gear me towards better health. This includes taking lots of fruits daily. It's awesome then that New Zealand Trade and Enterprise (NZTE) will be having their ‘Taste New Zealand’ at Tesco, featuring the finest quality and premium options of fruits from the 26th of May to 8th June at 20 selected Tesco outlets. 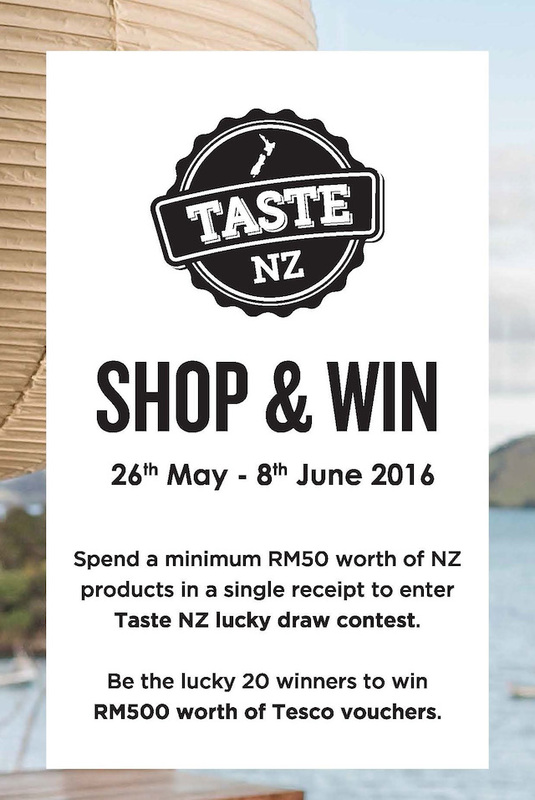 Aside from indulging your appetite with only the best fresh produce and products from New Zealand, shoppers with a minimum of RM50 worth of New Zealand products in a single receipt stand a chance to win RM500 worth of Tesco vouchers in the Taste of NZ Lucky Draw contest. You need to join this! RM500 worth of Tesco vouchers to be won! “More Malaysians are becoming health conscious and mindful of what they consume, and the New Zealand products that will be featured at the Taste NZ fair are packed with health benefits, perfect for their nutritional requirement. New Zealand has been long known to have high quality agricultural products used in food production. Furthermore, our climate, soil and water provides for an optimum environment for the most tasteful produce,” said Matt Ritchie, New Zealand Trade Commissioner to Malaysia and Brunei. My bag of New Zealand Quality and Premium Produce. Ahead of the fair, I had the opportunmity to sample some of New Zealand's finest fruits coming in a small bag of happiness. What's in my bag? Check it out below then! Are you a Kiwi lover? The Zespri Kiwifruit is packed with Potassium, Fibre and Vitamin C to support day-to-day wellness. Regardless of your lifestyle and age, this furry green fruit will keep your health in check, from heart, to digestive health and antioxidant absorption. 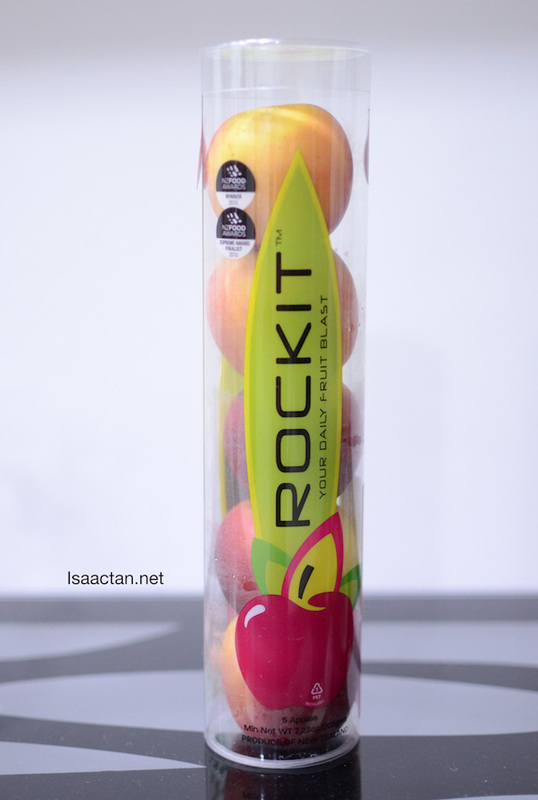 I've personally tried it, loved it, but the subsequet Rockit Apples rocked my world even more! 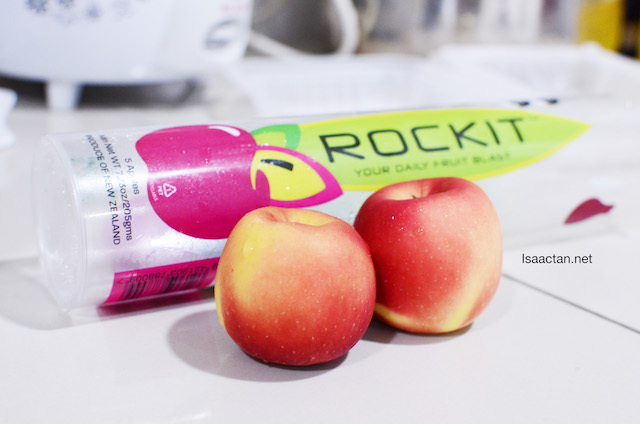 The world’s first miniature apples are changing the way we snack and challenging the fruit market worldwide. 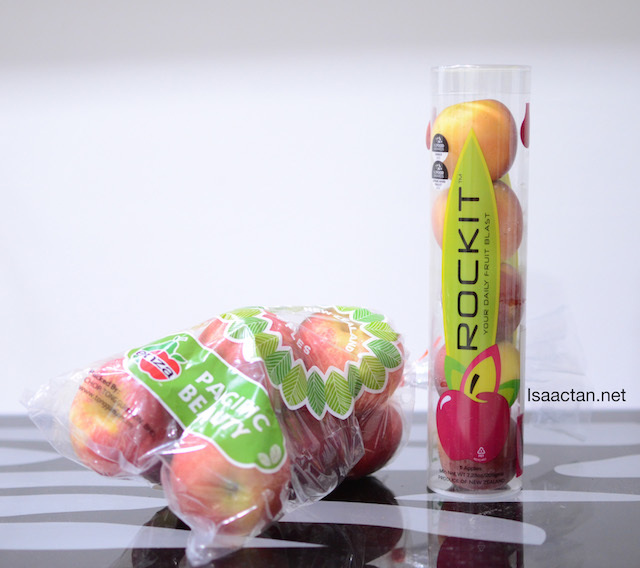 This ‘one of a kind’ apples are prewashed and makes a perfect snack for children, busy adults and sportspeople. 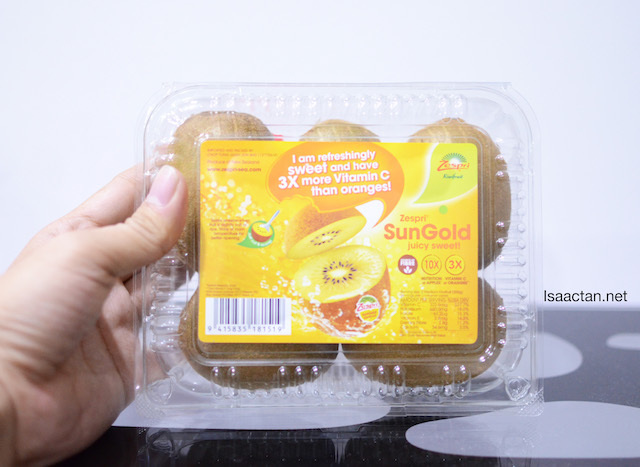 Aside from its petite size (1.5 x size of golf ball), the packaging is equally unique and stands out. 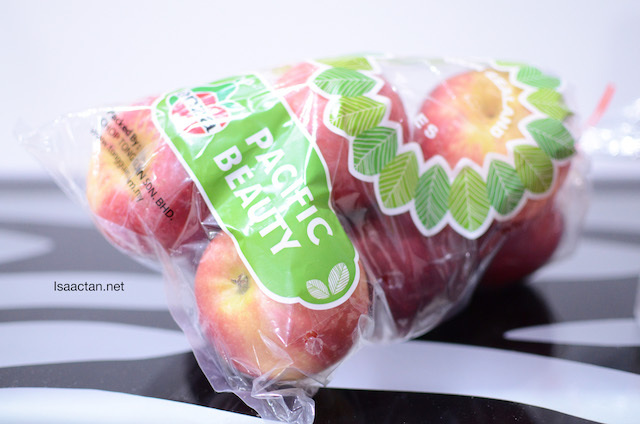 The novel tube packaging promotes hygiene and is convenient for people to grab on the go, with options from 3 apples to 6 apples a pack. One of the sweetest and crunchiest bunch of apples I've had in a while! If you’re not already aware, New Zealand has a proud history for developing unique apple varieties that are rich in taste and crisp to the bite. The more commonly known varieties from Enza incude Royal Gala, Gala, Braeburn, Fuji, Granny Smith and various other selections. Visitors can look forward to over 23 products at this unique food fair at selected Tesco outlets, such as Zespri Kiwifruits, Tip Top ice cream, Kapiti Collection, a New Zealand brand producing gourmet cheese, ice cream, yoghurts and other dairy products for domestic use, Watties, an extensive product line of frozen and packaged vegetables, fruits, sauces, etc; Enza apple variants and Rockit apples. The fair will be held at the following Tesco outlets, from the 26th of May to 8th June such as Pulau Pinang, Kota Bahru, Tg Pinang, Mutiara Damansara, Kepong, Ampang, Sg. Petani, Melaka, Mergong, Bukit Inda, Klang, Puchong, Seri Alam, Desa Terbau, Seberang Jaya, Taiping, Extra Penang, Sg. Petani Selatan, Extra Cheras and Ipoh. Love NZ products! Gonna grab more fruits from tesco and stand a chance to win! I always got the green kiwi. Does the yellow one taste the same? Need to head over to Tesco now and get my stock and try my luck!!! 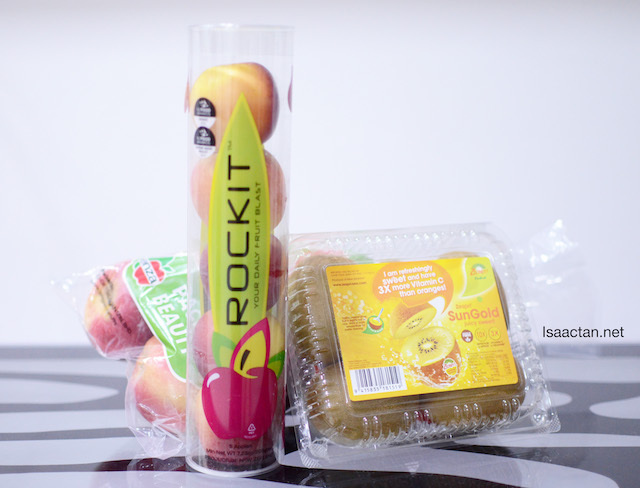 The Zespri Kiwi seem like tasty and juicy, I like the packaging of the Rockit Apples. So fast is New Zealand fair again! I love all those fruits, looks so big portion and super juicy! I like New Zealand's fruit!!! Especially Kiwi!!! I miss New Zealand!! New Zealand's fruits are very fresh and a healthy way to start your day especially love their kiwi. I love NZ products. Be it fruits or dairy! Generally always offer great taste and quality. I love New Zealand fresh fruits, meat and dairy also. I wonder if the fresh items e.g. fruits are really fresh because for the freshness to retain, they need to use their usual preservation methods e.g. waxing etc. That is what I am concerned about. • Thank you for sharing this information and Very good looking blog.